It’s 1945, and British journalist John Russell has finally reunited with his German girlfriend, Effi, in London after a dangerous flight from war-torn Berlin. 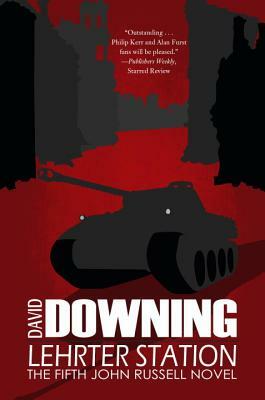 But Russell realizes his new life in England isn’t going to last when he is tracked down by Soviet agent Shchepkin, who helped Russell escape the disastrous last days of the war and the Russian army’s destruction of Berlin. It is time to repay the debt, and Shchepkin’s bosses in Moscow are not the forgiving types. Russell has no choice but to agree to be transferred back to Germany, where he will resume his cover as an investigative journalist and hand over US intelligence reports on the German Communist Party. Meanwhile, Effi struggles to revive her acting career, but she cannot fight the desire to uncover ex-Nazi Party members still at large in Berlin. In this dangerous new world, where alliances change every day, will John and Effi be able to leave the past behind? Or are the new enemies the same as the old?